Hi! I’m so excited you’re here! My name is Kayla, and I live and breathe photography. It is my passion and my love. As a photographer, my job goes far beyond just snapping a few shots. I want to get to know you and capture every little detail that makes you unique. The goal of each and every session I do is to capture the raw and honest emotions, the connections, and the little details that you will always want to remember. Having tangible pieces of time to hold on to is pretty incredible and I take my role as this “moment capturer” very seriously. 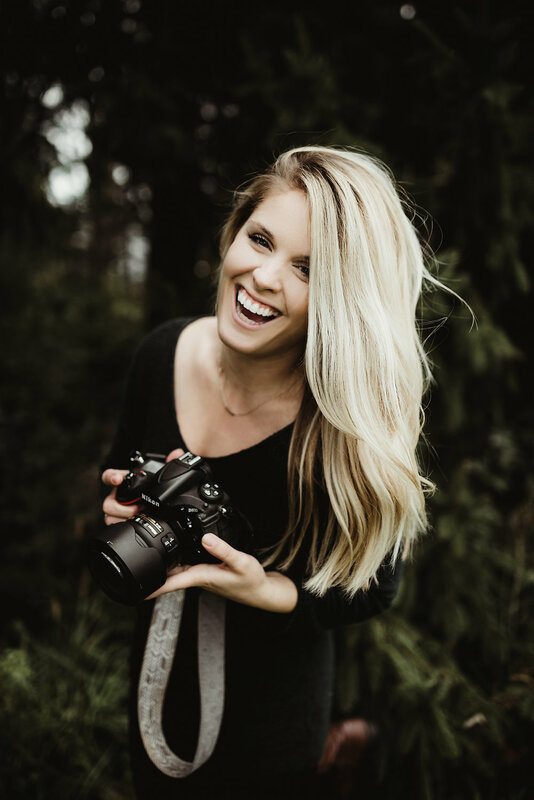 So, if you are ready to come on an adventure with me, to capture those true connections, authentic smiles and unique details, resulting in one of a kind works of art, I would love to hear from you! I look forward to creating something beautiful that will last a life time!